Barnet Carers Centre works with professionals across the Borough. 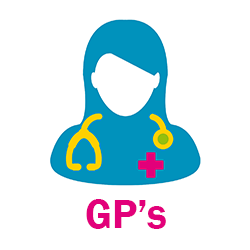 We have an active programme working with schools to raise awareness of young carers and are increasingly working with GP Surgeries to support people on their carers register. We receive and encourage referrals from a wide range of organisations in Barnet including the local authority, health organisations and charities. We are always keen to work with anyone who comes into contact with adult or young carers so please do not hesitate to contact us if we can be of help. If you are a professional working with adult or young carers you can make referrals to Barnet Carers Centre directly online. Once a referral has been made, one of our team will be in contact with you to confirm that referral with 2 working days and we will also contact the referred person or their parent/guardian within a week of the referral (normally much sooner). We have an active schools programme providing awareness initiatives to teachers and students as well as in-school support and mentoring programmes. We are working with an increasing number of GP surgeries by providing awareness and support to patients on their carers registers.